Proactive occupational health and safety is becoming an increasingly important topic across the globe. Major catastrophes like the Soma mining disaster have given rise to demands for greater workplace safety in Turkey, where new legislation on occupational health and safety went into effect last January. The new law requires companies to take practical steps in implementing workplace safety, thus substantially increasing domestic demand for proactive measures in the workplace, in particular in Turkey's production industries. 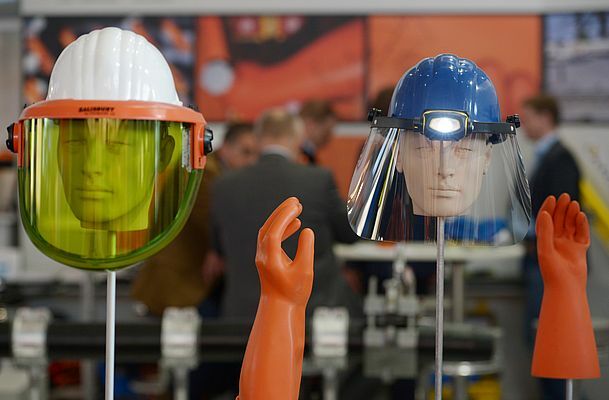 The exhibition organizers at Karlsruhe-based Hinte GmbH have teamed up with Hannover Fairs International GmbH, a Deutsche Messe subsidiary based in Hannover, to feature the issue of occupational safety at the upcoming WIN Eurasia Metalworking. This cooperation will take place in the form of a new presentation entitled "Safe@Work" - set to become a significant new module at the February trade fair for metalworking, welding and surface treatment. The "Safe@Work" special showcase will be complemented by a dedicated speaker's forum. To this end, Hinte and Hannover Fairs International have signed a cooperation agreement which will allow them to pool their combined expertise and create a novel information offering for targeted visitor impact. The special display and forum will create a vehicle for bringing extensive occupational safety know-how into contact with the affected industrial sectors, i.e. production fields that are inherently faced with substantial occupational health and safety challenges. "The cooperation with Hinte will enrich the proceedings at WIN Eurasia Metalworking by adding an important, future-oriented topic to the show. The 'Safe@Work' special presentation offers our exhibitors and visitors a further exciting information platform focused on tomorrow's tasks," remarks Wolfgang Lenarz, the Senior Vice President in charge of the event at Deutsche Messe in Hannover. In the words of Olaf Freier, Managing Director of Hinte GmbH, "We are delighted to be developing this key topic in Istanbul with Deutsche Messe's international subsidiary. A proactive approach in the workplace is becoming more important everywhere, and the 'Safe@Work' presentation is our way of communicating the issue of occupational safety to the relevant target groups by providing a representative mix of products and offerings."